Bashundhara Paper Mills and Bashundhara LP Gas, two concerns of Bashundhara Group, have won Superbrands Award for their excellence in marketing management. United Kingdom-based Superbrands Award is considered the biggest success symbol for brands across the globe. Bashundhara Group Director Yeasha Sobhan received the award at a function recently organised by Superbrands at Radisson Blu Dhaka Bangladesh. Former adviser to a caretaker government Geeteara Safiya Choudhury, Jagannath University Vice Chancellor Prof Mijanur Rahman and Bangladesh Investment Development Authority Executive Chairman Kazi M Aminul Islam attended the award-giving ceremony as special guests. Some 30 brands from diverse industries of the country have been honoured with Superbrands Award. Bashundhara LP Gas Marketing and Sales Division head Mir TI Faruk Rizvi was present on the occasion. In his speech, Faruk Rizvi said Superbrands Award attached a new feather of achievement to Bashundhara LP Gas following its winning the ‘Best LPG Brand’ last year. He further said Bashundhara LPG has achieved the trust of consumers for its team work. Bashundhara LP Gas has enhanced the capacity of supply chain to reach more consumers at households and corporate segments by ensuring maximum safety measures, he said. Faruk Rizvi also said Bashundhara LP Gas is expanding units in Chattogram and Bogura to meet the growing demand of the consumers as a trusted brand. 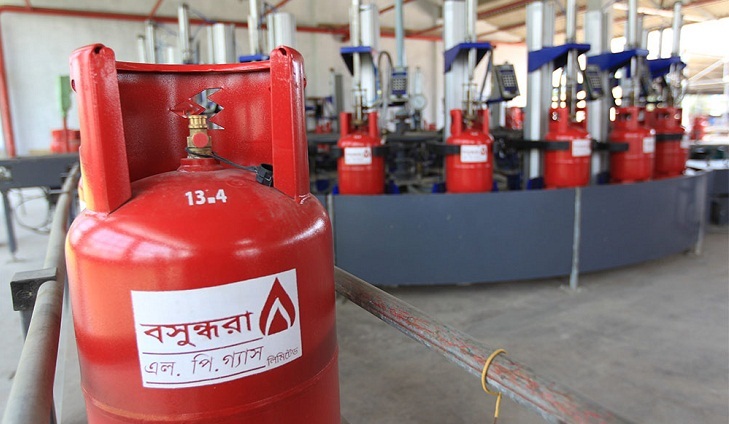 Bashundhara Group established southeast Asia’s largest LPG filling plant in Keraniganj, on the outskirts of the capital.